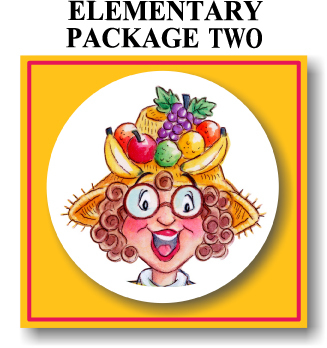 Sign up for one of the Scripture Lady’s elementary Bible Song Program packages. Invite the Scripture Lady to come and captivate your kids AND their teachers through the presentation of one of her Bible Song Program Packages. A Scripture Lady Program will engage your children and keep their focus on Jesus and His Word! They will definitely walk away having heard and seen the Word of God presented in creative ways. 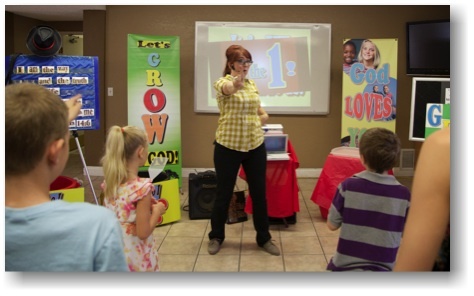 Kathy is a pro at keeping the attention of children by sharing captivating objects lessons that the kids LOVE! along with her memorable Bible verse songs. Your children will be challenged to grow in their relationship with God. Browse the packages below and choose the one that works best for you! A single performance of an Elementary Bible Song Program. ✏ A 30 – 60 minute presentation. ✏ The teaching of memorable Bible verse songs and appropriate moves for your children. ✏ Captivating object lessons designed to challenge your children to grow in their relationship with God. ✏ Fun Bible Review Games with full audience participation. ✏ And LOTS of smiles and fun all centered around the Star of the show – Jesus! 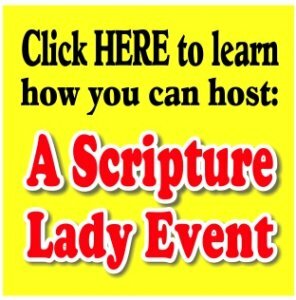 To book your package, contact Kathy Vincent, The Scripture Lady at thescripturelady@gmail.com or call 714-331-7192. A single performance of an Elementary Bible Song Program PLUS the presentation of one teacher training workshop. ✏ Practical, do-it-this-week ideas to help teach your children about the Bible and God including teaching techniques for leading worship, Bible review games and creative presentations of object lessons. 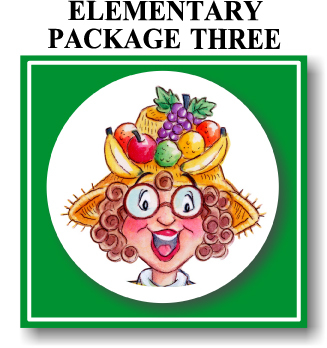 A single performance of an Elementary Bible Song Program PLUS the presentation of TWO teacher training workshops. Can you buy her music that teaches Elementary children the Ten Commandments, Fruits of the Spirit, Bible Verses? We are a very small small church and would love to purchase her whole package, however at this time not able to do that. But would like to know if we can order her material separately? If so please send me email with things we can order separate. Kathy you are so outstanding, I’m always so impressed by all your talent. May God Bless You for Sharing. Pentecostal Church of Fullerton, CA. Yes. You can purchase my music separately and my games. so things are all in a jumble. Please forgive me. 1. The first showcases all 75 of my Bible songs as downloads for only $9.97. 2. The second showcases 10 of my Bible review games as downloads for only $10.00. Let me know if you have any questions or if you are looking for something different. but if I can serve you in any way, just let me know. Blessings to you and your ministry to the children God has sent your way.